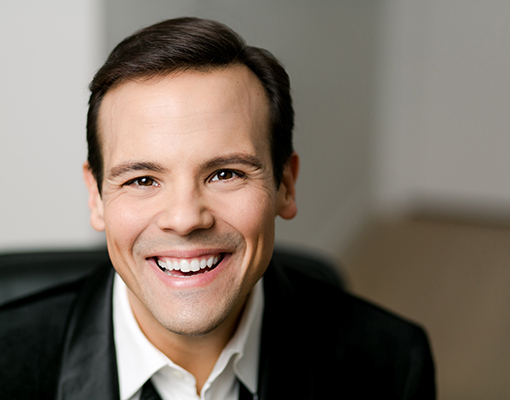 Praised by Opera News for “high notes with ease, singing with a luxuriant warm glow that seduced the ear as he bounded about the stage with abandon,” American tenor David Portillo has established himself as a leading classical singer of his generation. An exciting 2018-2019 season includes a return to the Metropolitan Opera for a role debut as the Chevalier de la Force in Dialogues des Carmélites, a return to the Lyric Opera of Chicago for Arbace in Idomeneo with Sir Andrew Davis, an opera he will perform for his debut with the Teatro Real in Madrid, but as Idamante, and finally Oper Frankfurt and the Glyndebourne Festival as Tamino in Die Zauberflöte. On two separate occasions in the season, Mr. Portillo will return to his hometown of San Antonio, Texas for a role debut as Alfredo in La traviata with Opera San Antonio, as well as a solo orchestral program of Italian repertoire with the San Antonio Symphony and Sebastian Lang-Lessing. Orchestral engagements include a return to the Los Angeles Philharmonic for Beethoven’s Mass in C Major, and Haydn’s Lord Nelson Mass with Gustavo Dudamel, an appearance with Grant Gershon and the Los Angeles Master Chorale for Mozart’s Requiem, and Carmina Burana with DePaul University as part of the opening celebrations of the Holtschneider Performance Center. In the 2017-2018 season, David Portillo made a splash in two role debuts at the Metropolitan Opera, first as Eduardo in Thomas Adès’ North American premiere of The Exterminating Angel, then as Camille de Rosillon in The Merry Widow. He performed Count Almaviva in Il barbiere di Siviglia with Houston Grand Opera, and Don Ottavio in Don Giovanni for his debut with Dallas Opera. In the summer of 2018, Mr. Portillo made two important house debuts, at the Deutsche Oper Berlin as Count Libenskof, and the Bayerische Staatsoper as Pasquale in Orlando Paladino. Orchestral highlights of the season included Mozart’s Requiem with Gustavo Dudamel and the Los Angeles Philharmonic at the Hollywood Bowl. For the 2016-2017 season, David Portillo made his Australian debut singing Ferrando in Così fan tutte with Opera Australia, in a new production by Sir David McVicar, conducted by Jonathan Darlington. Other roles included a return to the Metropolitan Opera as Jacquino in Fidelio conducted by Sebastian Weigle, Tamino for his debut with Oper Frankfurt, Pedrillo in Die Entführung aus dem Serail for a debut with Dutch National Opera, Don Ramiro in La Cenerentola with San Diego Opera, and Dr. Richardson in the world-premiere performances of Breaking the Waves at Opera Philadelphia. Concert performances included an international tour of Handel’s Ariodante in the role of Lurcanio, conducted by Harry Bicket with tour stops in New York, London, Vienna and Paris, among others. In Japan, Mr. Portillo performed Count Almaviva with Marc Minkowski and Ensemble Kanazawa. Past seasons on the operatic stage include appearances at the Metropolitan Opera (Count Almaviva), Lyric Opera of Chicago (David in Die Meistersinger, Trin, La fanciulla del West, Andres in Wozzeck), Houston Grand Opera (Tamino), Washington National Opera (Don Ramiro), Metropolitan Opera/Juilliard Opera (Renaud, Armide), Opera Philadelphia (Don Ottavio, Don Giovanni), Glyndebourne Festival (David in Die Meistersinger), Opera Theatre of St. Louis (Don Ottavio; Ferrando), Théâtre des Champs-Élysées (Pedrillo), Pittsburgh Opera (Belmonte, Die Entführung aus dem Serail; Count Almaviva), Arizona Opera (Ralph Rackstraw, HMS Pinafore, Tonio), Palm Beach Opera (Count Almaviva, Ernesto in Don Pasquale), the Accademia Nazionale di Santa Cecilia in Rome, Italy (Ferdinand, The Tempest), and the Saito Kinen Festival in Japan (Gonzalve, L’heure espagnole). Mr. Portillo has also made important European debuts in recent seasons with Wiener Staatsoper (Count Almaviva), Festival d’Aix-en-Provence (Pedrillo, Lurcanio), Salzburg Festival (Don Gaspar in Donizetti’s La favorite), and with Opera Angers-Nantes (Narciso). 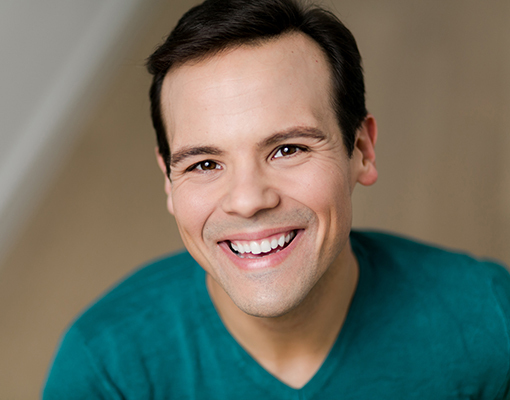 An alumnus of the Ryan Opera Center at Lyric Opera of Chicago, Merola Opera Program at San Francisco Opera, and Wolf Trap Opera in Vienna, Virginia, Mr. Portillo grew up in San Antonio, Texas, and currently resides in Minneapolis, Minnesota.